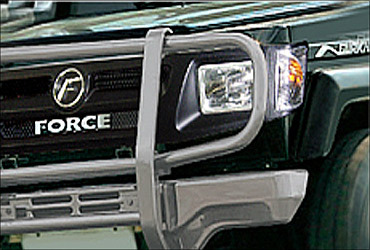 Rediff.com » Business » Will Force Motors works its magic in the SUV space? Will Force Motors works its magic in the SUV space? 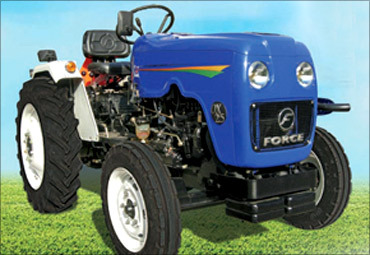 Known as the maker of commercial vehicles such as vans and light trucks, Force Motors is ready with its first passenger offering. The still-unnamed sports utility vehicle (SUV), slated for launch this June, will be in line with its heritage, says Force Motors managing director Prasan Firodia. However, this will not be the first attempt at an SUV by the company. With a small distribution footprint in commercial vehicles, competing against the likes of Tata Motors and Mahindra & Mahindra in the volume-end of the SUV market will be a tough task. But it is one, Firodia claims, his team is ready to take on. Why did you decide to enter the passenger vehicles segment? 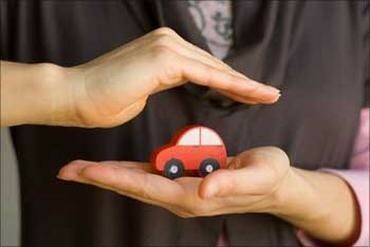 We expect a lot of learning as we get into the passenger car or personalised vehicle segment. This learning will get translated across the entire value chain, including commercial vehicles. From engineering to handling the end customer, there should be lessons for all the stages. After all, the norms for the M1 (less than seven seats) category, which we will enter with the sport utility vehicle (SUV), call for more sophistication. Of course, it is not that we are entering purely for the learning. This is one of the advantages but the move also costs money. But this is a learning curve that we needed to go through. 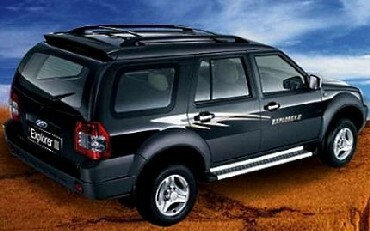 What made you opt for an SUV to enter the passenger vehicles segment? We went with SUVs because traditionally, since the early-1950s, our DNA has been that of making utility-based vehicles. We started with a three-wheeler and then we launched the Matador, Minidor and ultimately the Traveller. 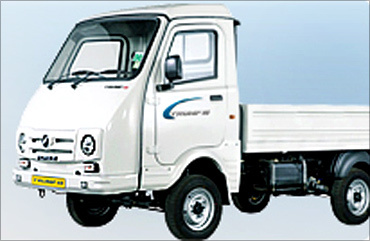 The aspirations in the commercial utility vehicles segment too are changing. The foray into passenger vehicles will help us understand the emerging complexities in our original segment. 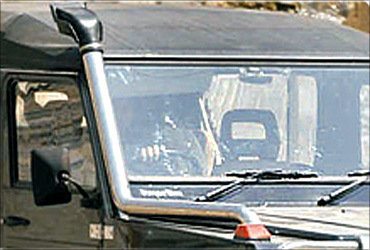 Why did you discontinue the Trax Gurkha, an SUV that you had tested? It had been a strategic decision to focus on other vehicles and the front-end consumer management needed to be spruced up. Trax Gurkha's engine also needed an upgrade. But with a new personalised vehicle division now, we could look at bringing it to the market eventually. There will be versions of the new SUV platform with additional features, such as more safety. Is it true that the new SUV will take after the China-made Guangdong Foday Explorer III, as reported? The SUV has 85 per cent local content. Bottom-up, the chassis is completely new, designed by Force. It is a new-generation C in C chassis for which there is a complete robotic welding line coming up; the ride and handling, including suspension, is designed by us, and Lotus, the globally renowned automobile engineering consultant, fine-tuned the ride and handling (such as steering and suspension). Moving up, the driveline is completely localised. 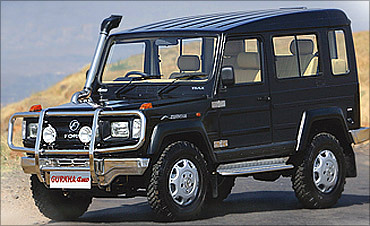 It has a 2.2 litre engine, licensed from Mercedes Benz or Daimler. You look at any other critical element such as the steering gear and rack, wiper motors and blades, tail and head lamps - they are all localised. The complete body will be welded at our Pithampur (Madhya Pradesh) plant. The name of Guangdong came up because we are looking at some elements of plastic and sheet metal for the car from there. Mercedes Benz Technology (a 100 per cent subsidiary of Daimler and a consultancy) has done the complete vehicle electronic mapping, that is, all the communication inside the vehicle. It helped since the quantum of electronics is substantially higher than what we are used to. What cross-competencies will help you in building the SUV? For the investment that we are putting in (Rs 150 crore), it is a great product to put out. We had already licensed the driveline technology from Daimler. It was easy to get Daimler experts to come in and help because of our 30-year-old relationship with the company. We could validate a new chassis in-house and just go to Lotus for their expert opinion since a new chassis was being considered as a means to upgrade our current products with new ride and handling standards. All we had to do was put a body over these elements. This allowed us to make the product in 19 months. Earlier, we had also managed to save costs through common platforms in terms of driveline technology, for example. But mostly we are installing dedicated facilities for the SUV. A new facility in the Pithampur plant will have a dedicated body shop, assembly line and a final touch-up line. 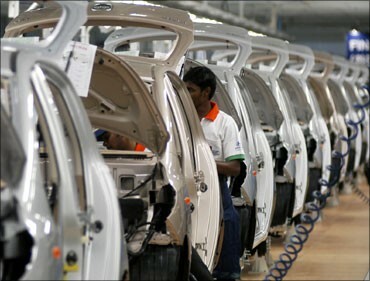 The initial capacity will be 12,000 SUVs, which can be extended to 24,000 with negligible investments. We have created a dedicated team of about 28-30 focused on the SUV, most of them with passenger-vehicle work experience. On marketing, there are dedicated dealerships, workshops across India because the aspiration of the target consumer is different from that of a person driving a Trump or a Trax, which are rural utility-based products. What will set your product apart from the others in the market? How will you engineer the launch to stand up against the likes of Mahindra Scorpio and Tata Safari? We will be talking about a Daimler driveline in an SUV priced at Rs 12 lakh. Who wouldn't want a Mercedes engine at this price? 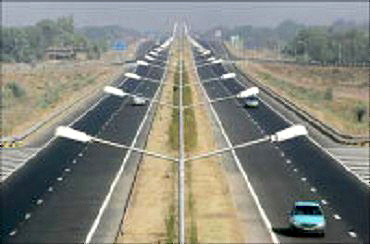 It will have performance parameters that have been fine-tuned by some of the best consultants. Our creative agency, Lowe Lintas, is working on the communication campaign to highlight the USP of the Daimler driveline. The benchmarks are some of the best in class. The ride and handling has been the result of testing and tuning done by Lotus Engineering. It will have a new chassis design and even the size of the vehicle will make it stand out. The driveline will have unmatched torque while the power to weight ratio and noise and vibration levels will be better than the industry benchmarks. The C-in-C chassis that we are using is more rugged and has better control than a tubular chassis or C chassis. We are doing a teaser from this month onwards. Would you work on the corporate brand before the SUV launch to make it more familiar to passenger car consumers? Not before the SUV launch. There will also be a corporate branding exercise right after. It is not that we are hanging our hat completely on the SUV because our bread and butter will remain commercial vehicles. So, the corporate branding will help the other brands as well. The SUV, on the other hand, will have the potential to take our organisation into a different league. So, we have been holding the launch to get it right. Why are you targeting 4,000 SUVs in the launch year, given that a total of 272,733 units were sold last year? 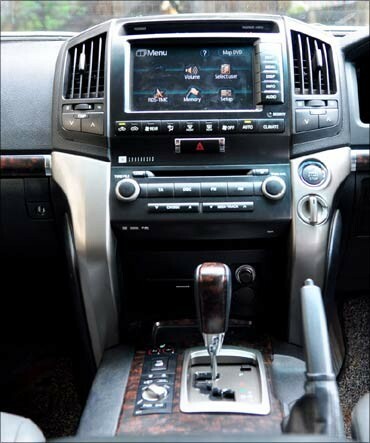 The market in which our SUV will operate sells about 50,000-60,000 units a year. We are not yet ready with our front-end to target larger numbers. Neither do we want to spread too thin. Feedback and a smaller start will let us tweak the vehicle on a short notice. We do want to extend our network but we don't want to force someone to invest since it needs dedicated facilities. Hence, it requires time to build up dealer demand. 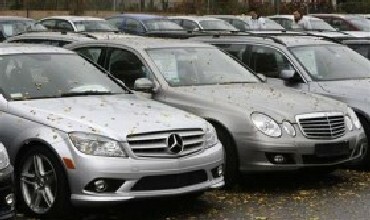 On the commercial vehicle side, we have 160 dealers. What is the dealer footprint you will begin with? Our SUV will start with 30 dealers of about 60 per cent urban and the rest in rural and semi-urban areas. In the next few months, we will ramp this up to 50 dealers. Some of them would be our existing CV dealers, especially in the south, who are financially strong and understand this segment. 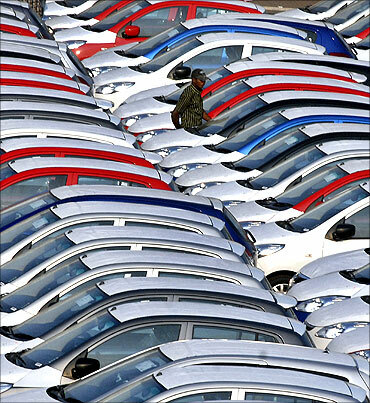 However, metros such as Mumbai will need new dealers as these have not been traditional markets for us so far. We will also look to expand our semi-urban spread since tier 2 cities make for strong SUV markets. Before you launched the small commercial vehicle, Trump, in 2010, your market was primarily semi-urban and rural. The SUV will straddle urban swathes. What learnings did you have from the Trump in urban markets? More than the Trump, it is our southern markets which have given us urban insights. The percentage of urban to rural sales is higher in the south than anywhere else. 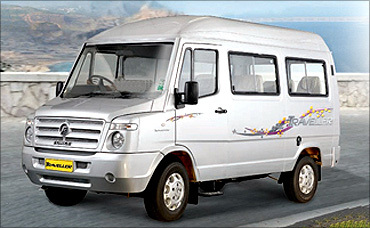 Chennai, Bangalore and Hyderabad are teeming with our light commercial vehicles such as the Traveller and Trump. The ITES (information technology enabled services) industry there swears by our products. Operating in these cities taught us about the servicing expectations - response time, warranty policies and the corresponding back-end adjustments. These are different from the demands of the CV customer in rural areas and similar to the needs of a passenger car owner. To get the servicing parameters such as order-to-delivery time, test-driving formats, warranty and after-sales right, we have roped in Idea 7 (retail consultant). It will do our front-end training - right from the dealer and his staff, to salesmen and servicing personnel. They will also audit our service and at the dealers' for the next two years. The learning that we will get can be used in the CV segment too; for example, the standards in consumer service, noise levels in a vehicle, electronics embedded in the vehicle and even air-conditioning effectiveness. So, there is probably more learning coming out of our SUV entry for our existing products than the other way round! Why is it that after so many years you are still a marginal player in commercial vehicles? We are not a very large original equipment manufacturer (OEM). In fact, we are one of the smallest OEMs you will come across globally. But we have a wide product range, which gives us an advantage because it makes us flexible - to change according to the market demand. Our product lines and the time to market are smaller and so are investments per product compared to the rest of the industry. If a competitor had to create a dedicated facility, it would then look at substantial volumes. We don't have to because we start with the idea of getting into a niche market which is not large. So, it gives us the flexibility to react as well get a leadership position in that segment. We were able to launch the Trump 40 in just eight to nine months, a result of faster reaction time and absence of hierarchy within the organisation. 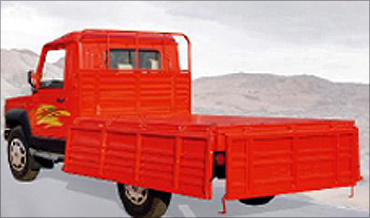 It helped us address the market gap of light commercial vehicles for intra-city transport. You have never really taken competition head on in any market. Is that part of a larger gameplan? Trax, for example, sells largely in the rural taxi market of about 20,000 vehicles a year. Trax accounts for 12,000 of those. Similarly, the Traveller is popular in the ambulance and school van segments, because the safety standards require a monocoque body (a technique that supports structural load by using an object's exterior rather than internal frame) for durability and ride quality. Even the Trump 40 is not a direct competition for the category ruler because with a three-cylinder engine, it has more load-carrying capacity. But with two of our new products we will be getting into the more crowded segment in light commercial vehicles. We are investing to create products to get into larger markets. At the same time, we are readying to expand the existing segments we lead. The competition will think twice before entering these segments as they are low volume at say, 20,000 units per year and he would rather invest for a 100,000 category. Our strategy has helped us grow our topline by 70 per cent and net profits by 91 per cent. Going forward, what are the different areas you need to invest in? On the SUV side, we are investing about Rs 150 crore (Rs 1.5 billion). But this is a part of the Rs 1,000 crore (Rs 10 billion) that we are ploughing in on several aspects in the next two years. Our engineering will see new engine test beds which qualify for Euro 5 emission norms and are compliant with CNG and PNG. We will be expanding our tool-making facilities, which is one of the largest in India. We can create one dedicated platform in two years, that is, make all the tools for interior and exterior of the platform. A new paint shop with multiple stages is also being installed which is in line with passenger car technology but will be used for our commercial vehicles. Changes such as these are now becoming hygiene factors in the CV space as well. At the front-end, we are sprucing up our IT systems such as the dealer management software on which Wipro is partnering us to train and install. Investment will also go into our product lines. Traveller will soon have a new version - the existing platform is being improved for noise levels, handling and aesthetics. This will bolster sale of the vehicle in the ITES industry. Trax, the rural taxi, is up for a face-lift as well by middle of next year. 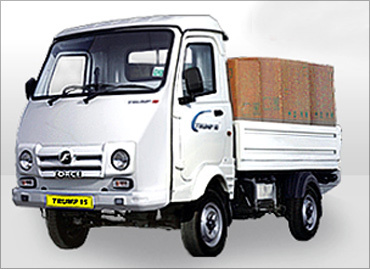 These will pave the way for the two new products in the small commercial vehicle segment that we will launch under the Trump brand which will be built out of our third factory. These will play in much larger and crowded segments than our CVs have operated in so far. There is also a new van in the works which will be smaller than the Traveller, with about seven-eight seats that can be used as a passenger vehicle for a large family. It should be out by 2012. 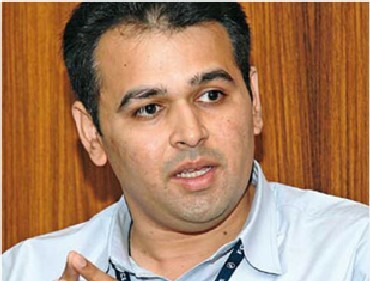 How will Chawla panel save the nation's wealth?